I don't know where I got the idea for Alfheim Haven but I thought it might be fun to talk a little about the world I created for my fantasy series. I had just read Susan Carroll's the Bride Finder, and I fell in love with the blending of historical and fantasy. I guess you can call her book an inspiration, a catalyst for writing The Keeper of Moon Haven. In addition was my grand scheme to connect all my previous books in some way. That was a bit more daunting and challenging, and still a work in progress. I have written science fiction futuristic, time travel, fantasy and historical westerns. The Dragon King does reference the magic as do my time travels. I have also always had a fascination with astrology and the myths regarding moon phases. A blue moon is a second full moon in one month. But I wanted something more special so I discovered a time table for all the blue moons occurring in the month of October. Most occur at a span of nineteen years but there are a few special cases. This gave me my timeline. Old fairy tales are full of tales of the fey, leprechauns, elves, gnomes and the like. But as the years progressed, sightings faded. It made sense to build an alternate realm where these creatures could co-exist. Having two full moons in October created the perfect window of time when the faery realm was accessible to the human realm. But there had to be an escape route, an alternative method of reaching both worlds which is where Beletania's Diary comes into play. When read aloud in the human realm, the creature being read about will appear in the human realm. I also had to create characters who had a reason for traveling between worlds. So - if you're wondering why Surt took a human baby into Alfheim Haven to raise as his own, it's because eventually Melody will want to know more about her human origins. Or why I left Christopher with the Keeper when he needed more than Lucian could give? I'm hoping Christopher and Melody will have their story some day. 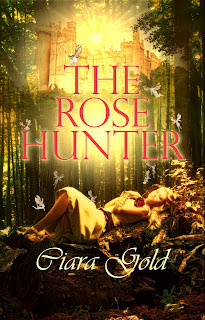 The Rose Hunter releasing in November! The Rose Hunter will be available for purchase on November 2. Right now, you can pre-order a copy from Champagne Books and ARe. Lyerra Ahdia is baffled by the sudden emotional changes she’s experiencing until she discovers she’s the only witch to suffer “the change” since her mother stole the Rose, a special talisman with the power to perpetuate life among those in her coven. Tasked with finding and bringing the Rose home, she begs Lucian’s help in navigating the human realm. Against his better judgment, he agrees. After a frozen moment, she trudged up the stairs and to her room. When she entered her temporary sanctuary, something felt quite wrong but try as she might, she couldn’t put her finger on the problem. Shrugging, she sank onto the plush mattress and removed the locket. She was about to spread the parchment out on the bed when the dangling bird cage caught her eye. She jumped from the bed. The tiny door on the cage gaped wide. Charl was gone. She ran down the stairs and skidded to halt. At the foot of the steps, Lucian stood beside Mary Elizabeth. The child held a limp Charl in her palms. “I broke the doll.” Mary Elizabeth hiccupped and sniffed back tears. Charl dead? No. Lyerra had locked him up in the cage to keep him out of the cat’s way and keep him from following her and Lucian into the city. The little imp nodded. “I just wanted to play with him. Can you fix him?” She extended her arms, offering Charl for inspection. Lyerra bent and examined the poor pixie. A tear slipped from her eye to think of the creature’s untimely death. Just as she was about to answer, Charl opened one eye, winked, and quickly closed the eye again. Lyerra blinked. The pixie played dead while a young girl suffered. Charl sprang to his feet, balanced for a moment atop chubby fingers then leapt to the floor. Mary threw her hands wide and screamed. An exaggerated ‘oomph’ escaped Lucian’s lips, and he bent double. Mary’s small fist had connected with a very vulnerable place on Lucian’s anatomy. Lyerra covered her mouth with her palm to stifle the chuckle. Meanwhile, Charl scampered up the stairs and toward the guest room. Luckily Gremlin must have been occupied with other endeavors. “Madam?” His eyes widened at her suggestion, and his voice sounded strangled. Edits are probably handled a tad differently with each house but I thought I'd give a glimpse into my history with editors and how each edits have gone. For my first book, Celestial Dragon, I received my edits and thought wrongly that I had to have them back in record time. (Usually, I have at least 2 - 3 weeks with the first round of edits.) Not only that but at the time I was using Word Perfect which I dearly love and I had only a basic understanding of Microsoft Word. Needless to say I didn't know I could just click accept under reviews. I went through and compared the edited version to mine and made on the corrections necessary or rather, that I could see and find. Can we say argggg? It was a lengthy process. The next books were a lot easier because I had a better understanding of the process in general. Basically, I go through three rounds of edits. The first round is for mostly content and some line edits. After that, the manuscript goes to a line editor. After I go through those edits and approve or disapprove, I get a copy of the ARC. I go through the ARC again for any more problems we missed. I then write down the error and correction. This is called the errata. The publisher makes the necessary changes before publishing the book. With The Rose Hunter, we hit a glitch. I won't go into details but edits didn't go as they normally did. However, even with the difficulties, I had an awesome editor who caught quite a few problems. The line editor did a great job as well. And while I've encountered smoother edits, I'm very happy with the end result. For a while, I wasn't sure The Rose Hunter would be released on time but kudos to Champagne Books for doing all in their power to see the book published on time. First, my publisher, Champagne Books, has bundled all of the Orphan Train Books for this month only. My Once Jilted is among the titles. This was a great series and so fun to write. Here's a short review of Once Jilted from Katrina Maria: "Once Jilted by Ciara Gold is a really special and heart-warming read. I first got this book on my kindle after reading a few of Ciara Gold’s other books, and a few years later I got it in paperback because it became one of my favourite books to read...I found this novel emotional and inspiring, the way Shauna Joyce would do anything to give Sarabeth a life full of love and happiness. I would highly recommend this novel, it truly touched my heart with every page. I wasn’t able to put it down for long." Click here for a link to KOBO. My next news is that Eliza's Copper Penny is now available in print. I got the proof back this week, and I'm really pleased with the result. Click here for a link to Amazon. Third, and probably most exciting is that The Rose Hunter is on track for release on November 2. In fact, it's available for pre-order. In preparation for it's release, I have lots of things scheduled. 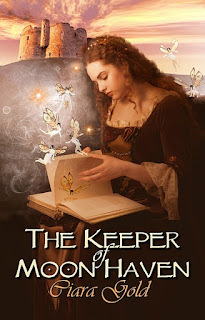 I have guest blogs scheduled for Romance Lives Forever, Susan Leigh Noble's Blog Into Another World, and Susan Horsnell's blog.